Easy-to-use and fast preplanning and contouring tools for cranial segmentation, image fusion and volumetric outlining. Efficient treatment planning for cranial indications. Integrates surgery and radiosurgery to help balance surgical risk with radiosurgical toxicity. Patient monitoring for intrafractional motion control. With our long history as an innovator in the area of cranial treatments for both surgery and radiosurgery, Brainlab continuously aims for increased efficiency in delivery and planning for cranial SRS treatments. Our à la carte software applications, called Elements, enable fully optimized cranial treatments with the planner still in the driver’s seat. Providing tools to clinicians with a high grade of automation supports clinicians in delivering safer treatments, improving efficiency in their daily routine and ultimately utilizing the software for more patients. 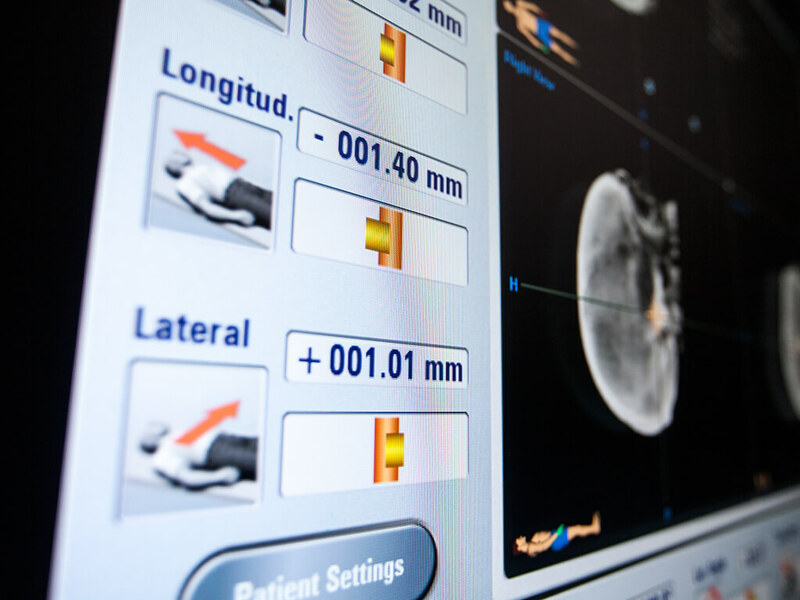 When developing our latest software, we took the quality of positioning, dosimetry and the plan into account. All this lead to the creation of indication-specific Elements Cranial SRS, which thus far includes, but is not limited to arteriovenous malformations (AVM), pituitary adenomas, vestibular schwannomas, meningiomas and large metastases. The Cranial SRS planning workflow is straightforward with the flexibility to configure planning templates according to individual clinical protocols and starts with easy-to-use and fast preplanning tools: Dataset co-registration using Image Fusion with Cranial Distortion Correction, Anatomical Mapping for labeling all tissue classes of MR datasets to identify organs at risk, tumor definition with SmartBrush or nidus definition with SmartBrush Angio*, followed by the final treatment planning with Cranial SRS after just a few minutes. 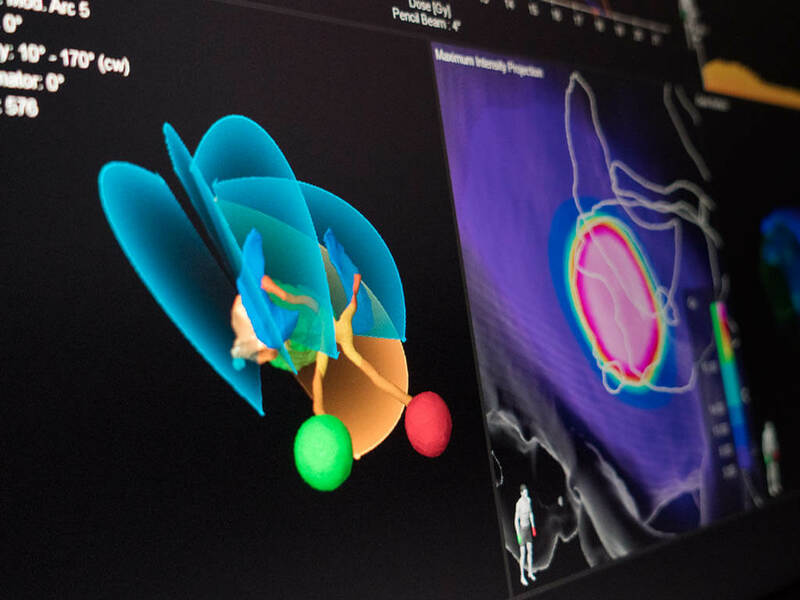 After a similar automated pre-planning process, Elements Multiple Brain Mets SRS dose planning enables the delivery of highly conformal single-session treatments for multiple metastases while helping to minimize dose spread to surrounding healthy tissue. 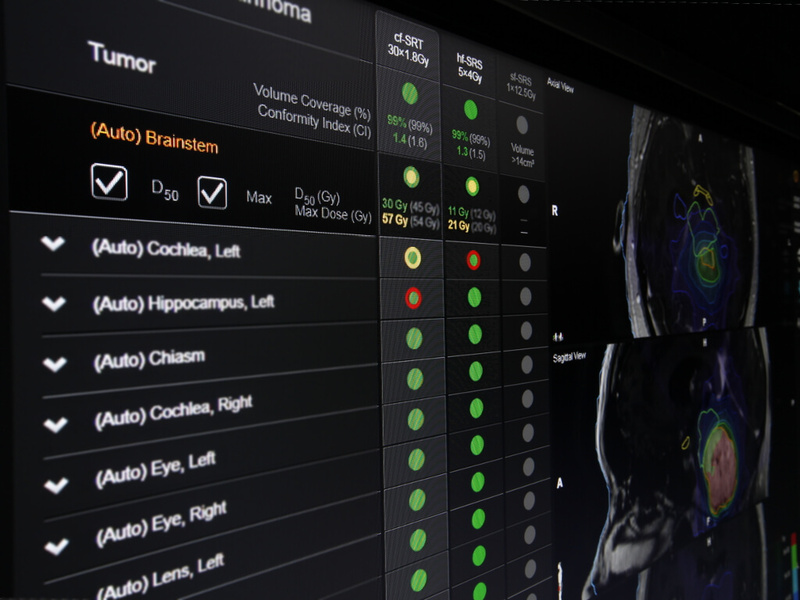 Elements Adaptive Hybrid Surgery (AHS) is dedicated to multi-modality treatment of benign skull base tumors and offers a method for radiosurgery guided neurosurgery. 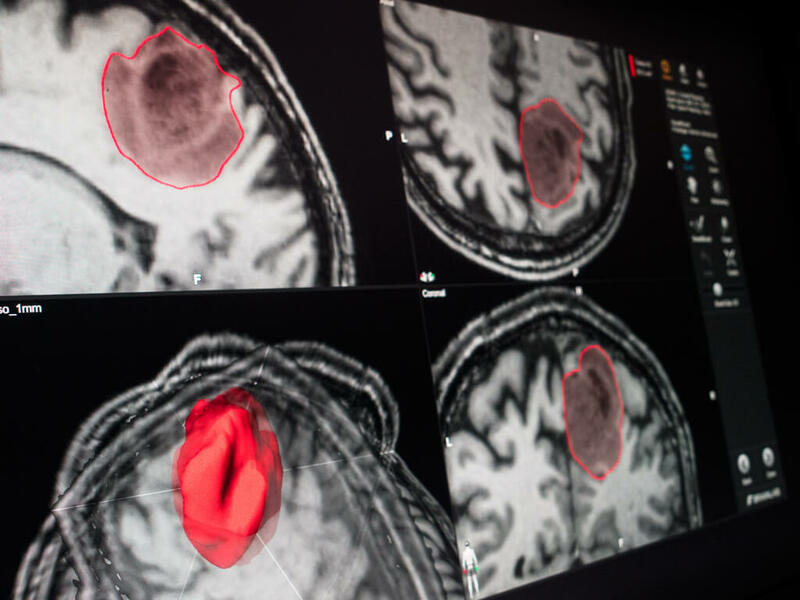 The Elements portfolio is completed by Elements Contrast Clearance Analysis, a novel MRI-based methodology for the high resolution depiction of contrast clearance and accumulation, allowing for the differentiation of brain regions with high and low vascular activity. In combination with Elements, in-room X-Ray based ExacTrac Positioning and Monitoring system allows for highly accurate position verification and monitoring of patient motion and internal anatomical shifts during treatment.